You are here: Home › Chattanooga Set for Sports Facility Boom? Chattanooga might be on the verge of a sports facility boom, as a soccer-specific stadium is on the way and discussions of a new Lookouts (Class AA; Southern League) ballpark continue. As Chattanooga prepares for the opening of a new soccer-specific stadium, the Lookouts continue discussions about a new ballpark. The team still has a ways to go in its effort to replace AT&T Field, but the current concept that is being considered calls for a new ballpark and adjoining development at the 141-acre former Wheland/U.S. Pipe foundry property and surrounding area. In Fort Wayne, Indiana, where Freier’s company has a team and helped raise a new multipurpose stadium, the minor league baseball club is drawing 400,000 people a year, minor league hockey is attracting about 300,000 annually and there’s a successful National Basketball Association developmental squad. He said Chattanooga’s metro area is 50 percent larger than Fort Wayne’s. 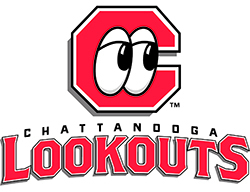 “We’re not concerned that the numbers of teams will impact the Lookouts in any negative way,” Freier said. Chattanooga has grown considerably in recent years, and it has generally had a solid sports scene that incldues the Lookouts at AT&T Field and University of Tennessee at Chattanooga athletics and amateur soccer at Finley Stadium. Having the Red Wolves and their new soccer-specific stadium in mix could make that landscape more competitive, but it is not being viewed as a deterrent to the Lookouts and their separate ambitions for a new ballpark.